Eleanor Folley and Virgil Mallory return in this standalone steampunk adventure, set after the events in Rings of Anubis. The rumor of strange creatures moving beneath the streets of Paris. 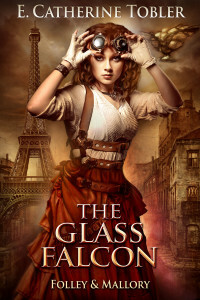 Eleanor Folley knew she was in for a challenge when she accepted the task of cataloging Mistral’s archive of purloined artifacts, but she never expected to discover an Egyptian mystery buried in the heart of Paris. When Anubis and Horus task her with a quest, she cannot refuse the ancient gods, even if it means venturing into the cathedrals of bones that clutter the catacombs of Paris.